There was a man whose engine in his car had failed. He had it towed to one repair garage after another, but none of them could figure out what was wrong or how to fix it, other than a complete engine overhaul for several thousand dollars! 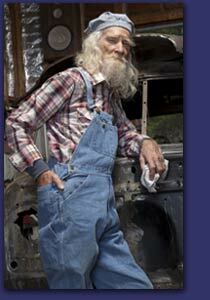 Then he took it to an old car mechanic who he heard had been fixing cars since he was a youngster. The old mechanic carried a large bag of tools with him, and he inspected the engine very carefully, top to bottom. The car owner watched this man anxiously, hoping he would know what to do. After looking things over, the old mechanic reached into his bag and pulled out a small hammer. He gently tapped something. Instantly, the engine lurched to life. He carefully put his hammer away. The engine was fixed! Like the mechanic, Mary KNOWS exactly where to tap and how hard when coaching you within the MasterMind experience. You may be surprised to discover that Mary's coaching system contradicts conventional beliefs. After all, it's not often you hear someone tell you to stop trying so hard! Trying harder at what is already not working will never be the long term solution which you are seeking. In our society, we are hesitant about listening to our inner voice. We have inadvertently learned to ignore the desires of our hearts, believing we can't have what we want anyway. In our humanness, we judge, shame and ostracize ourselves - and therefore, each other - for many of our desires. The result of this is that we have become either too constricted or too complacent with money, time, responsibilities, commitments and love. We may accept that we have the power to be, do and have whatever our heart's desire, and yet we wrestle between our conditioned states of powerlessness and complacency, and the subtle whispers of our deepest heart's desires. ...And we don't see that in constantly trying to override our inner voice's urgings we can bring driving obsessions and addictions, pain, loss and suffering into our lives and experiences. We do not yet fully trust our inner gyroscope, which maintains our orientation, i.e., intuition, when it is truly speaking to us. People by and large want to learn how to support each other unconditionally and without resistance in this kind of effort. At the core of their being, people want to learn how to listen without judgment or worrying about what they are going to say next. ...And the greatest thing about Mary's work as your Intention Coach is that it will filter into all areas of your life, in communication not only with your business associates, but with your spouse, children, co-workers, absolutely everybody. We've really just been making this all too hard. What comes through Mary in any coaching session is energetically life-altering; she is not only tuned in about what's really going on for you, she is a Master at being able to quickly field questions on problematic areas and turn them around into powerful intentions that will bring you the new results and experiences you seek. Mary loves making things happen, especially big, seemingly impossible dreams. She is a woman who has mastered fear of lack and limitation, and she loves to lift others into the exploration of their inner spirits, to accomplish that same mastery, and a whole lot more. to have a quantum leap . . .
. . . and that's exactly what you will be getting in each session with Mary. Mary's coaching will assist you "quantum-fiably" in learning how to create a highly specific Group Intention that will be able to have weekly quantum leaps in isolating and removing all energy-wasting distractions, while becoming the creator of an environment designed to let your natural entrepreneurialism, charm, talent and personality flourish.